Here are two contrasting Six Word Stories holding important message. 1. Plastic Killed Cows. 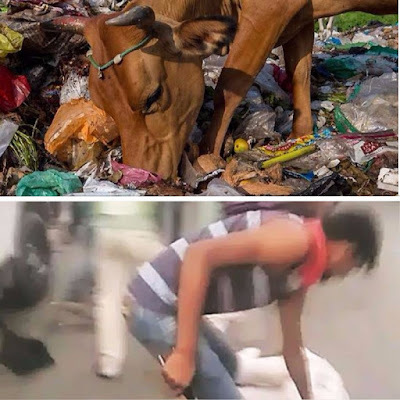 Cow Vigilantes Active. 2. Men Beaten To Death. Vigilantes Active. Well put. What an irony?! If I have to choose between the life of a cow and life of a human, I'll always choose human.